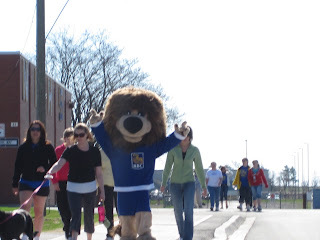 Let Them Be Kids: Asphodel-Norwood: RBC Let Them Be Kids Walk A Success! The Norwood Branch Royal Bank held a walk on Saturday April 30th to raise funds for the new playground and parks committee! The weather was perfect and the support from everyone was wonderful! Thanks Norwood RBC to being a prt of our community initiative!